post about, I still don’t have anything scheduled. I hope that won’t prove to be a huge problem. 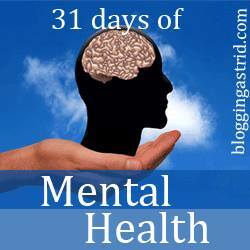 My topic for this year’s #Write31Days will be mental health. As regular readers of my blog will know, I have lived with mental illness for a long time and currently reside in a psychiatric institution. 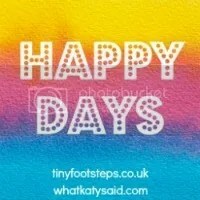 I have written quite a few informative posts on mental illness already, as well as a number of posts chronicling my journey towards recovery. During this month’s challenge, I am simply going to expand my collection of mental health-related posts. 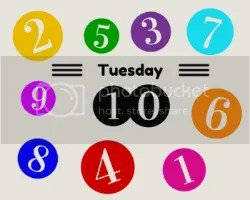 Since like I said, I don’t have an editorial calendar, there probably isn’t going to be a particular order to my posts. I like it that, apart from choosing a topic, there isn’t a requirement to follow any guidelines such as those in the #AtoZChallenge back in April. I currently have only one mental health diagnosis, but have had many in the past. I also happen to be a psychology student, so I know a bit about the gamut of mental health conditions. I will take the opportunity during this challenge to share some about conditions and symptoms I do experience, but also about things I don’t. In short, I’d like to educate my readers on the spectrum of mental illness and mental health. Because it may get boring writing all types of dull posts on mental health conditions (and it may get boring reading them), I will be sharing tips for coping with mental illness, as well as posts inspired by my own journey of recovery, too. I hope you’ll learn from and be inspired by my posts. This is the landing post for this year’s #Write31Days challenge. This means it serves as an index for all my posts that I write during this month. I will post my button in every post, too. If I did it correctly, clicking on the button should take you back to this post. Click below on the post you’d like to view. Day 7: Mental Illness: Nature or Nurture? Day 10: What Are Personality Disorders? Today is International Coffee Day. In honor of this celebration, the Tuesday Ten hosts ask about our morning routine, whether we drink coffee or not. I am twistng this idea a bit and sharing ten truths about my coffee-drinking habits throughout the day. I remember sharing some of these before, probably when International Coffee Day came around last year, but some items will be new. I started drinking coffee when I was aroudn six-years-old. In pictures of me drinking coffee, I look really disgusted. I still have a disgusted look on my face when I drink coffee, even though I like it. I like my coffee black and quite strong, though the coffee my husband makes is a little too strong for my taste. Some people on my unit also make incredibly strong coffee. Last week was one of the first times I drank cappuccino. I must say I loved it! My husband and I have a Senseo coffee maker, which means I can finally get a regular cuppa rather than my husband's strong brew that I mentioned above. It also means that I can make my own coffee. I used to be able to operate a regular coffee brewing machine, but getting the amount of water and coffee right is a bit hard. I don’t drink nearly as much coffee now as I used to. We have specific coffee times on our unit at 10AM, 4:30PM and 7:30PM. I usually skip at least one of these because I’m in bed. Guess I need to drag myself out and get a cuppa. On the unit, we are allowed to get up by 7AM and make coffee then as well. Usually, some is still left by the time I get up at around 8:30. I like to start my day with a cup of coffee and a bowl of yoghurt with muesli. Because the afternoon is so long without coffee, being that we can’t have it till 4:30PM, I sometimes go to day activities just to get a cuppa. Many people do. It isn’t that, at day activities, we can get unlimited coffee, but at least we aren’t stuck with the fixed coffee moments. Speaking of day activities, most people look forward to Friday at 3PM, when we are allowed cappuccino or hot chocolate instead of regular coffee. There’s an automated coffeee machine upstairs from day activities where the administration probably get their hot chocolate, cappuccino and coffee all the time, but the activity staff got complaints that we’re drinking too much of it. That’s why we only get hot chocolate or cappuccino on Friday afternoons. I do get hot chocolate most weeks on Thursday morning when I go to art therapy. That is, if there’s cocoa in the machine there, which often there isn’t. I truly find that coffee keeps me awake. This is probably why I am most awake in the evenings, because I rarely skip my 7:30PM coffee. Then again, whether I drink coffee in the evening or not doesn’t seem to influence whether I can sleep at night. Today is the start of INvisible Illness Awareness Week. I already shared a post on ths year’s theme, my invisible fight, last week. This was about my fight for a correct diagnosis and treatment of my physical symptoms. If all goes as planned, I will be participating in a 31-day writing challenge in October on the topic of mental health. I have lived with mental health problems pretty much all my life, though I didn’t get into the care system till 2007. In today’s post, I’m sharing my fight for proper mental health care. I have had a number of diangoses for my mental health problems over the years. At first, in 2007, I was diagnosed with an adjustment disorder caused by the stress of my living independently while being multiply-dsabled. I was hospitalized on a locked psychiatric unit and stayed there for 1 1/2 years. An adjustment disorder can only persist for six months after the stressor has gone (so after I’d been hospitalized), so I had to be diagnosed with something else eventually. My new diagnosis was impulse control disorder nOS. Several years later, I got diagnosed with dissociative identity disorder (formerly known as multiple personality disorder) and post-traumatic stress disorder (PTSD). These finally got changed to borderline personality disorder in 2013. It’s been a long fight to get the care I deserve and the fight is ongoing. In 2008, when on the locked unit, I was treated with seclusion or threatened seclusion whenever I acted even slightly irritable. I wasn’t told that, being an informally-admitted patient, I had to give consent for this treatment. My problems were treated like willful misbehavior, even though my diagnosis of impulse control disorder should suggest the behaviors were at least to an extent beyond my control. I had a horribly authoritarian social worker at the time. She was mostly in charge of my care, because I was at this unit awaiting appropriate long-term residential care. At one point, when I objected to applying at a certain supported housing place because I didn’t meet half the admission criteria, she threatened to get me a guardian. Not that my parents, who would’ve been the most likely choice for guardianship, would’ve stood in the way of my making my own decisions. I have said many negative things about my parents, but one positive quality of theirs is that they allow me to be in charge of my own life. I had to fight to be admitted to a resocialization unit in 2009. I first had to fight my social worker, who wanted to transfer me to a low-level supported housing placement instead. That was just too big a leap. I also had to fight the treatment team at the resocialization unit, who were skeptical I’d be able to cope on an open unit. Once at the rsocialization unit, I got better treatment than I’d gotten at the locked unit. However, I didn’t get much better. Eventually, medicaiton was suggested. This was a huge step, as the doctor at the locked unit had always ignored my questions and suggestions about possibly going on medication. My antipsychotic is truly a lifesaver. Its dose had to be increased several times and an antidepressant had to be added, but now I’m quite stable. In 2012, when I’d been diagnosed with dissociative identity disorder for some years but was noticing my psychologist didn’t have a clue how to treat it, I took it upon myself to find a suited therapist. I E-mailed around, was rejected many times, but eventually found someone. Unfortunately, by the time she had a spot for me, I’d transferred to my current institution and my diagnosis had just been changed to borderline personality disorder. As the years passed, I got to know and love my husband and we eventually married in 2011. We originally weren’t planning on living together, but early this year, I changed my mind. We’ve been working towards discharge for me ever since. Thankfully, my psychologist and social worker are quite cooperative. The fight is not yet over. In fact, now that my discharge is coming closer being probably around three to six months away, I have to fight my inner demons. In other words, I have to fight the fear that I’ll break down again, like I did in 2007. Thankfully, my psychologist and social worker are understanding of this. I am hoping that, once I am settled in at my and my husband’s apartment, I can finally get treatment for my emotion regulation problems. 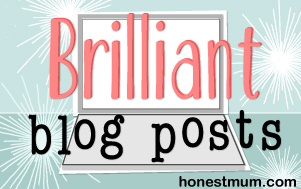 Also linking up to Invisible Illness Awareness Week 2015: Your Invisble Fight. This week has been pretty good. I didn’t have a lot of energy and have had some health symptoms once again, but other than that, I enjoyed the week. Here are some things I’ve been gratefulf or this week. I bought two lovely shower gels online. One has a vanilla/coconut smell and the other has a vanilla/honey smell. Can you tell I love vanilla? I have been enjoying using both. Speaking of showers, I finally got used to the shower at my husband’s and my apartment. We have a thermostat in the institution but don’t in our apartment, so getting the temperature of the water right is a pain. I think I finally figured it out though. I still much prefer a thermostat and haven’t gotten the idea that I want one for our apartment out of my head yet. When I bought the shower gels, I also bought a fruity facial mask. I haven’t yet used it, because I have yet to ask someone to read the instructions for me. I found out about FutureLearn by the UK’s Open University and have enjoyed looking at all the free courses they have available. I signed up for one about the science of nutrition, but haven’t yet come far in it. I have been crocheting at art therapy this week. I used very thick yarn and a huge needle, which helped me feel my way through the project. I created a a flowery type of thing. I finally got down to buying some new nightwear on Friday. My husband joked that I must like one of the nightgowns, which has “I LOVE SLEEPING” on its front. I went to our apartment Friday till Saturday. Because I was not feeling very well, my husband went grocery shopping alone. This was the first time that I’d been alone in the apartment since we rented it in 2012. I was fine. Grocery shopping took just over half an hour only, but it’s a start. Barry, one of our cats, who is quite a bit of a loner, was showing affection to me on Friday. He tolerates being petted by and shows affection towards my husband, but he rarely did so to me. It was so cute! I had a good meeting with my psychologist on Wendesday. Though not much came from it yet, she’s trying to get informed about my options for outpatient treatment for once I go live with my husband. This list signifies many things that I’m grateful for in general. For example, I am grateful for our two cats, Harry and Barry, who are way cute (though they can be annoying at times). I am grateful for the things I can do as well. I’ve been quite productive in the blogging department lately and plan on participatng in an 31-day blogging challenge in October. I am grateful for my ability to be creative, for example my relative success at crocheting in art therapy. Lastly, I’m just grateful for life in general. I have a great husband, a nice circle of relatives, good staff and a nice apartment. Despite some financial disappointments lately, I’ve been able to make ends meet this month too. 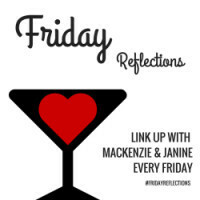 Today for Friday Reflections, one of the prompts asks whether you’re an introvert or an extravert. An introvert is someone who derives their energy from within themselves. An extravert derives their energy from other people. Introverts are usually quieter, thinking before they act, whereas extraverts act on the fly. Introverts often prefer to have a few close frineds, while extraverts prefer a larger circle of acquaintances. When doing personality tests online, like those based on the Myers-Briggs Type Indicator (MBTI), but even when doing more valid personality tests, I always score as strongly introverted. Indeed, I am a thinker rather than a doer, I can’t stand large group situations, and the closest to a friend I have is my husband. Online on the other hand, I tend to be much more outgoing. I crave attention from others and am the type of person who has hundres of Facebook “friends” she’s never met or even only occasionally speaks to. I love large groups online, although group chats can be overwhelming. That’s probably more to do with the speed of conversation not being in line with my screen reader’s speed and my Braille reading skills. What causes this distinction between my online and offline tendencies? It can’t be that I’m anonymous in the online world, because on Facebook, which I most frequently use, I am not. I wonder whether it has more to do with my expressive abilities in real life. In other words, could I be really more extraverted in real life if I had a better ability to communicate and process social situatiosn? Could, indeed, introversion be the outward presentation of social ineptness? I am not so sure. I am clearly the passive type in the aloof/passive/active-but-odd typology of autism spectrum disorders, not the active-but-odd one. That is, not usually. Sometimes, as I have mentioned before, I am way too open about my private life. I don’t just mean my blog, although I’ve been in situations where I hurt people’s feelings or embarrassed myself with my openness while blogging too. I also mean that I just don’t realize who I can and can’t disclose things to in real life, too. Like I said, in high school I’d tell kids I’d just acquainted all my problems. I still am like this today to an extent. I may not be as extremely introverted as I seem. Though I don’t handle large groups well, I do like some sorts of smalltalk. I’m not good at it, but I like it. I also think I might derive some of my energy from other people. Now of course no-one is 100% introverted or extraverted, but on tests I usually score about 95% introverted. That may not be all that correct. Last week, I read in a Dutch women’s magazine about the website Suffering the Silence, created by Allie Cashel and her friend Erica. Allie also wrote a book by the same title, which was published just weeks before. I immediately felt an urge to buy the book and did so on Friday. I just finished it and wanted to share a review. Suffering the Silence describes Cashel’s own and other people’s struggles with what they see as chronic Lyme disease, but what is deemed a “medically unexplained” syndrome by most mainstream physicians. Allie Cashel was first diagnosed with Lyme disease in 1998 and has been suffering on and off ever since. While she originally found Dr. Bernard Raxlen, a Lyme-literate doctor as they’re called within the chronic Lyme community, other world-renowned doctors denied her infectious disease. The book consists of four parts. In the first part, Cashel describes her own struggles with Lyme disease, her symptoms and her fight for recogntiion, as well as her self-doubt after famous doctors in Boston deny she is physically ill. She also provides an overview of the Lyme controversy. In the second part, Cashel broadens the reader’s perspective by allowing other chronic Lyme sufferers to speak out. Many had a hard time getting properly diagnosed and treated for Lyme and its almost inevitable co-infections. Some found relief from long-term antibiotic treatments, while others found they were helped with other, even more non-conventional treatmets, and some found they could not be helped at all. In part three, Cashel interviews doctors and scientists on all sides of the chronic Lyme controversy. She interviews one of the contributors to the Infectious Disease Society of America (IDSA) guidelines on Lyme dsease, which deny that chronc Lyme disease exists. She also interviews two scientists working on the prvention of Lyme, as well as Dr. Richard Horowitz, a physician who uses an alternative, multi-systemic model of infectious disease. It was at this point that, for the first time, I cringed, because Dr. Horowitz linked Lyme to the autism “epidemic”. While I am not completely opposed to alternative views of autism, it seemd Dr. Horowitz’s reasoning was a bit off. Part four describes the ways in which people strive to reduce the stigma of Lyme disease and chronic illness in general, as well as the effect these conditions have on a person’s identity. I recognized a lot here, as a person who firmly embraces her identity as a multiply-disabled person. For once, this was seen as understandable, necessary for advocacy even. I liked the affirmation Cashel designed for herself, embracing her status as a Lyme disease sufferer and affirming that other people believed her about this. As a person whose family does not believe in her autism and anything that cannot be seen, and opposes the identification with disabilities, I liked this. The book is both a captivating memoir and collection of patient stories, and an intriguing work of research into the chronic Lyme disease controversy. I loved it. Today on The Mighty, there’s a story about people’s misguided perceptions of sensory overload. Mandy Farmer, the post author, describes several situations involving her son that are well-known to me. Though I’ve come to tolerate a grocery store, I still cover my ears when the music in a store is too loud. I still fidget and, though I don’t (usually) scream, I still react with frustration at my hair being cut. I still don’t attend many social events, because I find a baby’s crying or loud music or even lots of conversation overwhelming. Overwhelming, exactly. But you see just behavior. I’ve actually had some nurses tell me that “this is behavior”. Duh! Every single action a person exhibits is behavior. You mean it is willful misbehavior, but 1. you don’t say so (this is my literal-mindedness acting up) and 2. I don’t think that it is. People often see sensory overload as attention-seeking, as depriving the noise-making people of the right to make noise. *Yes, I’ve seriously been accused of that!) At best, like Farmer also seems to connote, they see it as anxiety, and anxiety is to be overcome with exposure. I once, many years ago, read a description of what it is like to live with autism. The description of the sensory experience went something like this: imagine noise at the highest volume blasting in your ears, insects crawling under your skin, and bright lights shining in your eyes at the same time, while you’re having to eat the hottest type of peppers and the smell of rotten meat penetrates your skin. I bet those last two weren’t in there, but sensory overload affects all five senses. Now imagine not being able to escape any of these sensory experiences. Imagine what it’d be like having this experience 24/7. You’d go freakin’ nuts! Sensory overload doesn’t always involve a cognitive appraisal of the sensory stimulation, like: “I don’t think people should be playing loud music.” It doesn’t even always involve fear-related appraisals, like: “This noise is a threat, I feel like it will damage my ears.” When it does involve these types of cognitive processes, we aren’t always aware of them. Older children and adults can learn to become aware of what is going on in their minds and register any fearful or angry thoughts they may have towards the sensory stimulus. Then they can begin to learn to adjust these thoughts. But when there are no such thoughts, or when the person is unaware of them, how will attributing their reactions to some type of willful behavior help them? If noise were blasting at the loudest volume, bright lights were shining into your eyes, insects were crawling under your skin, etc., wouldn’t you feel pain? You would! Think of sensory overload as pain. And while cognitive and behavioral strategies can help people manage pain, attributing their pain-related behaviors to willfulness is not only insensitive, but ineffective as well. This year, Invisible Illness Awareness Week, which takes place from September 28 to October 4, has as its theme “My invisible fght”. I wrote for INvisible Illness Awarness Week in 2013, but skipped it in 2014, believing I didn’t qualify as someone with an invisible illness. Of course, I have a mental illness, but in my twisted mind I thought that didn’t count. Over the years, I have been fighting to get a proper diagnosis and treatment for my chronic fatigue, irritable bowel symptoms and other random fun. Until early 2015, my syptoms were dismissed as being behavioral. What I mean by this is what I wrote yesterday: I was doing too little so I was fatigued. Never mind the other symptoms. In February of this year, I was diagnosed with vitamin D, B12 and iron deficiencies. All were treated for some time, but eventually I was taken off all but vitamin D. This is a bit ironic, since vitamin D is the most potentially harmful of these three supplements and I have not had my vitamin D levels tested since April. My doctor also didn’t follow the protocl for treating vitamin B12 deficiency. I had to insist on getting subcutaneous shots insead of tablets. The B12 research group in the Netherlands recommends shots, reasoning that, unless you’re strictly vegan,, you probably have a problem with absorption of vitamin B12 or you wouldn’t be deficient in it. The research group recommends starting with twice-weekly injections for five weeks followed by tapering based on symptoms, not serum B12 levels. I got the recommended five weeks of injections but they were discontinued after that. I happen to be the odd one out where it comes to B12 deficiency, not having had a return in symptoms for about a month after the injections were stopped and having normal serum B12 levels even four months after my last shot. Though my symptoms returned, my B12 levels were normal about a month ago and the research group does not support supplementing without testing low in B12. Apparently, or so I assume, B12 deficiency wasn’t the root of my symptoms. Does it matter what the root is? If there’s a targeted treatment, of course it does. If a simple pill or shot could help me live a normal life again, thee’s no reason not to fight for that. But I’ve now had these symptoms for so long. I’ve been on iron and B12 and now vitamin D for so long on and off with little long-term improvement. I’ve had so many blood tests and other tests that came back normal. And yet I’m still sick. What am I fighting for, I wonder. If no treatment can cure my symptoms, isn’t it just the diagnosis, the recognition that something is wrong, that I fight for? In all honesty, I have to answer this question affirmatively. It’s not that I don’t also want treatment, but I also want to be validated. Is this normal? in a way, it is. Most people with chronic physical health symptoms fight to be recognized as physically ill. They obviously also fight for treatment, but they also fight the stigma that is associated with the notion that they are psychologically ill. The problem is that, by wanting to be recognized as physically ill even if there is no known cause or treatment for our illness, we add to the stigma of mental illness. Don’t get me wrong: physical symptoms need to be treated as they are, physical. Every possibility needs to be exhausted to find a cause and treatment for the symptoms. If there is none, that also doesn’t mean the cause is psychological or that psychological intervention will help. But it just might. Let’s fight for proper treatment of chronic illnesses and health problems, no matter their (presumed) roots. Also linking up with #InvisibleFight at Invisible Illness Awareness Week. 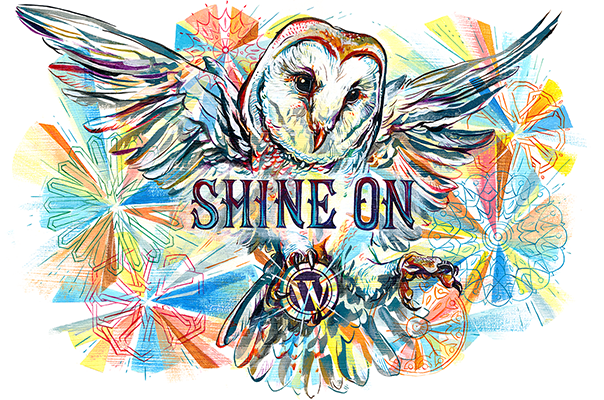 I will probably be writing another post on September 28 to honor the start of Invisible illness Week 2015. 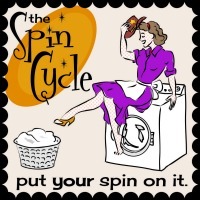 This week at the spin cycle, the writing prompt is “busy”. I am not technically very busy. I do not work, after all, and am not in full-time school. I still have enough time to sleep, although I sleep often at the wrong moments. During the day, that is. That being said, you might believe it would be easy to incorporate new requirements into my schedule. Exercise three times a week. Go to the educational department at my institution to study for 90 minutes twice a week and study for an extra hour on Sundays. Write a blog post everyday Monday through Friday. Yet why don’t I accomplish this? It’s probably that I feel too overwhelmed. It’s not necessarily that there’s not enough hours in the day, but that there are too many requirements on my mind at the same time. I also, of course, do have limited energy. I don’t know why, but it’s probably one of those symptoms of the aches and pains of daily living. What I mean is, I don’t have a physiological explanation for it, but it’s there nonetheless. I am not busy as a bee most of the time. Sometimes, I have more energy and tend to put my day full of activities. It seems I’m almost normal then. Right now, I feel far from normal. I feel exhausted while I’ve hardly even done much of anything. When I once read part of a book about medically unexplained chronic health symptoms, the author presumed there were two causes of these types of symptoms (other than of course an unknown physiological ailment). Some people tended to push through and do too much, while others tended to give up and do too little. On the surface, I appear to be fiercely in the second category. After all, even on days when I feel as though I push through, I don’t do nearly as much as a healthy person my age. I still don’t work or go to school full-time and I don’t care for a family. However, it seems to me like I do have issues with dividing my limited energy correctly, pushing through on days when I feel lots of energy and giving up on days when I feel little. Psychological treatments of mental illnesses like bipolar disorder, which include fluctuations in energy levels, teach the exact opposite. Dialectical behavior therapy for borderline personality disorder also teaches acting opposite to one’s state of mind. Could it be that I, too, need to rest when I feel energetic and push through when I feel fatigued? I know that conventional treatment of chronic fatigue syndrome follows this line of thought. Now I don’t claim to have CFS, and I don’t mean to say that this line of treatment is correct for those who do have CFS. What I mean is that it could be helpful for me. Like I said on Tuesday, I returned from my parents’ having caught a cold. My irritable bowel syndrome is also out of control rihgt now and I’m very tired. We had to cancel my sleeping over at my husband’s this week-end because he too caught a cold. That being said, there’s still a lot to be grateful about. Time for another gratitude list! This one is cheating a bit, as it’s about last week. I had a good stay at my parents’ last week-end. On Saturday, we went to an album presentation and on Sunday, we went to a performance by a poet and a singer-songwriter. The journey home by train on Monday was uneventful. I actually was on time to catch my train at Zwolle, where you only have about six minutes to transfer and the station is undergoing reconstruction. The railway service personnel were great. I did an okay job at the gym on Tuesday. I actually learned some new exercises on a balancing ball. I still need to blow up my own balancing ball so that I can do the exercises while not at the gym. I bought some deliciously-smelling coconut shampoo at the town store on Wednesday. My husband says the smell doesn’t last as long as that of the sunflower shampoo I bought at the supermarket a while back, but oh, it’s so gorgeous! I am now looking to buy some coconut-scented shower gel too. Speaking of scents, the vanilla scent I put in my AromaStream® a few weeks ago still lasts. I have had my AromaStream® on almost everyday this week. I found out about the book Suffering the Silence by Allie Cashel in a woman’s magazine that I read on Friday. Decided to buy the book and am totally sucked in. It’s not a light read (the book is about chronic Lyme disease) but it’s fascinating. I will post a review once I finish the book. So far, I’m liking the fall/winter menu at the institution somewhat. There are still meals I don’t like, but I enjoyed the couscous and noodles we had earlier this week. Nobody else liked the couscous, so I fear it will be off the menu soon. It was my and my husband’s fourth wedding anniversary yesterday. I liked all the E-mails and messages I received acknowledging it. Though I am not a big fan of chocolate, I liked the creamy chocolate my husband gave me for our anniversary. Its taste went well together with the vanilla scent I mentioned above. My husband and I went to Domino’s, a pizza place not too far from our apartment, to order takeout. I had a delicious but very spicey chicken pizza. My husband had a slice and found it extremely spicey, so spicey that I won’t repeat the cuss words he used to describe it. 😉 While I did notice there was some spiciness to it, I found it mostly delicious. We also ordered a box of chicken wings and other deliciousness. Can you tell by now I’m a huge fan of chicken? I have been looking at various online drug stores, originally for the coconut-scented shower gel I mentioned, but I’ve been oohing and aahing at all the goodies they have on offer. I think I’m going to treat myself to a nice facial someday soon. I tried some facial masks at day activities a while back when someone visited there to help us with makeup and such. The experience was weird but good. I’ve also been reading a lot of goodness about facials on beauty blogs and so want to try it for myself. Speaking of beauty products, I’ve been trying to apply the lipgloss my sister gave me for my birthday. It smells great. I am not yet good at applying it, but will ask one of the nurses to help me someday soon. What have you been grateful for this week?